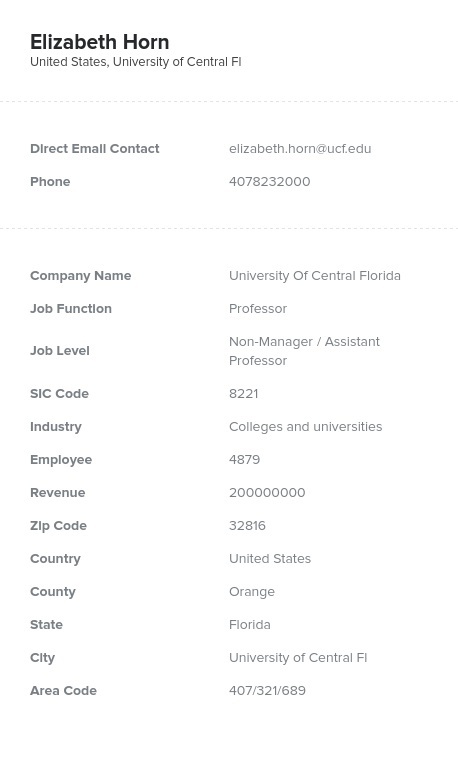 Find the academic gurus at many different colleges and universities with the help of Bookyourdata.com’s accurate, pre-built email list. Professors’ emails, phone numbers, addresses, and valuable contact details can be pulled minutes after downloading this directory. Do you want to network with those in academia, market an educational solution, gather expert opinions, or simply find the people who would be most interested in a specialized product? Download a vast database full of key contact information for professors in many departments and institutions. With Bookyourdata.com, you can build a targeted lead list and only communicate with the people who matter to your business: knowledgeable professors. For many businesses, university and college professors are an optimal group to talk to because of their specialized expertise or research focus. With this validated data product, you can communicate with them professionally in several different ways, including by email, via phone, or though the mail. It can take a lot of time to get enough information to get the conversation started, but with Bookyourdata.com's pre-built list of professors, you can start communicating with this specialized group in minutes. The secret of success is to know who you're talking to. Our list includes no generic emails and is backed by our accuracy guarantee. Find the professors who are the most likely to buy your product or take an interest in your company by customizing this list even further, or simply purchase this inclusive contact database now!